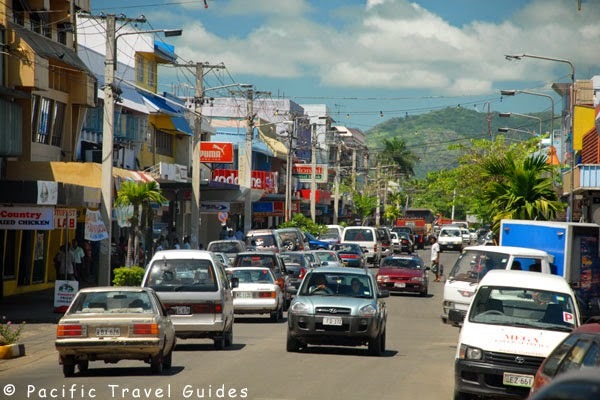 Nadi town main street. 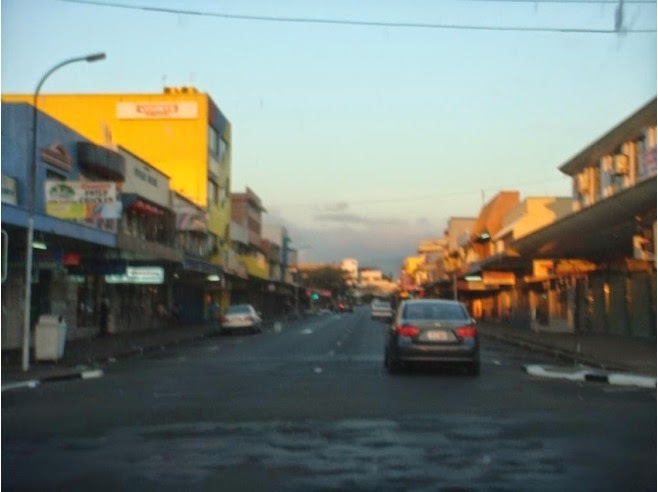 During the 1980s Nadi and Fiji were successful teams and local stars were treated as heroes as they walked around Nadi town especially by Nadi's soccer-crazy Indian supporters. The villages outside of Nadi (just before the bridge if you are driving from Lautoka) produced an amazing wealth of soccer talent during this era. Will Nadi soccer ever experience such a great era again when huge crowds flocked to Prince Charles Park? In the first season I started with Nadi (1982) I remember that we went into the finals of the IDC where there was a controversial ending to the final. There was an argument because of light failure at the Prince Charles Park ground in Nadi where the game had to be abandoned. The light was not too good according to the officials of Fiji Football. I think that year we had won the league too (although we failed to make the final of the BOG). This was when Nadi had won the league title for three years in a row (1980-82) (Fiji Football Association, Silver Jubilee Celebration 1977-2002, Fiji Football Association, Suva, p. 11). These were the years when some of the best soccer players in Fiji were playing the game. I was lucky to enjoy the game with them. I made a lot of good friends with them and these friendships exist up until today. The players were from Labasa in Vanua Levu and from all the districts in Fiji. I still meet with them. There was a high class of soccer then. I remember a friend of mine had to sit on the bench for three years before getting his first game with Nadi. I believe Nadi then had a wealth of talented soccer players that made it hard for a new player to get into the team. It was a big thing for me to play with and against the big names of soccer in Fiji. I guess I made it up to the top so fast because of my rugby training while I was young, straight after secondary school. I did a bit of weights straight after training with my cousin who had a set of weights. He got these from the Sugar Mill. In fact his father got it for him. This strengthened my ability. By this time my Grandmum (Viamila Neisau) had moved from Namoli Village to Tukuvuci on the outskirts of Lautoka close to Tomuka. I used to run from Churchill Park up to Tukuvuci every afternoon because I could not afford fares and I had to be home on time for dinner. I think this must have built me up to become strong as an athlete. 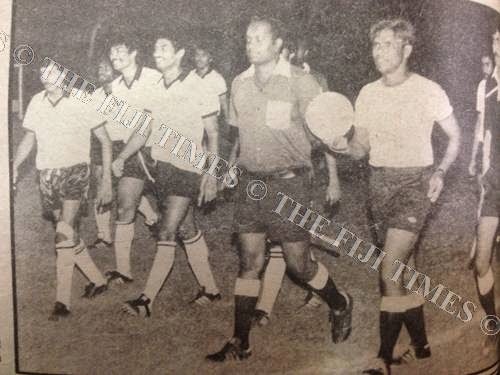 While playing for Nadi, during my first year in 1982, I was selected into the Fiji training squad. This lifted my spirits as a player to be in camp with the big boys. I was only 20-years-old (born 1962). I was on the bench for the first few games for Fiji. 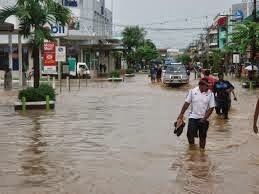 I remember playing Tahiti in Nausori which was not so good for me because I did not play well. I think I was a bit nervous then as a young boy. I began to pick up my confidence as the years went by. We played against New Zealand in Suva on a windy evening at Laucala (today’s National Stadium); we beat NZ 2-0. I remember Tony Kabakoro scoring two goals. I remember while in defence running the ball on the side facing the grandstand booth. NZ striker Kevin Fallon tried to get the ball off me but did not succeed. After walking back into defence Fallon walked up to me and said: “Hey, boy, you are really fast”. I didn’t know who Fallon was but I found out he was the top striker in NZ. I thought I was playing against just another guy. The New Zealanders were very tough guys on the field but I guess that they respected us too because we were tough also. However, it was just because of their skills that they were just a level above us. Nonetheless we managed to beat them. Our coach was a German guy, Rudi Gutendorf. Rudi brought with him a European soccer pattern of play that caught NZ off guard. Rudi used the defenders as the hidden wingers. When the wingers went up in attack the two side midfielders dropped back a bit in their place in defence. Then the two full-backs went up-field as the hidden wingers to receive the ball from the midfielders. These two full-backs were trained specifically to get the balls with perfection to the strikers in the penalty area. There was another game when we had a fight which was a big fight where one of the strikers was a very dirty player. He initiated the fight. This was also against New Zealand (won 1-0 by Fiji). In this match the NZ Goal Keeper was knocked out unconscious and one of our players was knocked to the ground (Stan Morrell). He was a defender. In this game we used Rudi’s pattern of soccer too. Stan Morrell scored the winning goal via an indirect free-kick. Abdul Manaan pushed him the ball. The free-kick was quite a blast from afar. Stan was immediately recruited to play for a club in New Zealand. We went back and played in Nadi against NZ and lost 4-2 (Mohit Prasad, Celebrating 70 Years of Football, 1938-2008, Fiji Football Association, Suva, Appendix VII, p. 94). These two games were one after another. This is what makes me say that I was fortunate to have played with the big boys. One of them sadly died in a car accident after coming back from a party celebrating the win of the IDC for Ba (Joe Tubuna). He was by then a veteran of his own high calibre. He was something else on and off the field and a very humble guy. 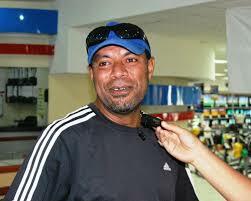 He was almost like our Nadi Goal Keeper who was the Fiji Goal Keeper and a veteran too (Savenaca Waqa). He was of a high calibre too of his own. He was a very polite, kind, and humorous guy. These two (Savenaca and Tubuna) had been playing soccer for Fiji way before me. They may have been playing for Fiji while I was still at high-school. For a young player like me to make it up into the First XI, playing alongside big names such as Waqa; Tubuna; Manaan; Rusiate Waqa; Stan Morrell; Upendra Choy (“Boxer”); Tony Kabakoro; Sam Work; Kelemedi Vosuga (“Cheetah”); Semi Tabaiwalu; and also Meli Vuilabasa, it lifted my motivation to reach a level higher as a soccer player. It would have been a boost to any sportsperson. On the eve of the Australian game [Fiji versus Australia], the President, Dr. Sahu Khan, came up to me and said: “Are you ready to lead the team?” You could tell from his countenance that he was coming to convey good news. I was happy to be told I would captain the team so I took the news quietly and with dignity and pride as this was to be the biggest game of my life. It was great that I could hear the message directly from the President and not from one of the other members of the management team. I kept this quiet in my heart until, not long after this, President Sahu Khan comes back to me shaking his head in disbelief that I was to be dropped from the team and that he was to tell me the news. He did not ask me any questions as he had known or been told from the management as to why I had been dropped. This was because our Lautoka team manager Shah Anwaz Kahn (as I was playing for Lautoka then) was working for a solicitor. The solicitor asked him (the manager) to locate a vehicle which he had hired out for rental to a Fijian guy who was now living in Suva. The rental car was in Suva too while we were preparing for the Australia match. I had a lot of friends on the streets in all walks of life. They helped me to locate the vehicle in a very short space of time. The manager asked me to fetch the car back for him as he knew that I would be able to complete the task. He was a very good friend of mine and I played for his club (Leeds United in Lautoka). The name of the lawyer was Haroon Shah. What I did wrong was I was driving the vehicle around in Suva and did not let the lawyer and the manager know that I had located it. I kept it for about one week. My team-mate from Lautoka replaced me to become captain (Pita Dau). I can say that they used me to do a hard job but did not treat me with a professional and responsible attitude. However, nonetheless, Fiji won against Australia. I was happy to be there at Prince Charles Park to witness the game. I was also happy that Pita Dau, who was my team-mate, was able to captain the team in my place. The highlight of that match was the cross from the right flank by Lote Delai to Ravuama Madigi who scored a spectacular goal. In the (1988) Australia match a few of the new players were picked but they had been playing for quite a few years at district level and for the Fiji youth team. In this match against Australia Ravuama Madigi scored a perfect goal from a cross from the left-flank outer-wing towards the hospital end by Lote Delai (Mohit Prasad, Celebrating 70 Years of Football, 1938-2008, Fiji Football Association, Suva, p. 48 and Appendix VII, p. 94). This goal put Madigi into the headlines as this was a big thing for Fiji soccer to beat Australia given that we had not been doing well for a couple of years. Madigi’s goal was a left-footer from the side of his foot that sailed through the defence and left the Goal Keeper standing in the middle of the goal; he could not believe that the speed of the shot had been so fast. It was like Sam Work’s kick from the left-flank of Churchill Park, on the wooden-stand side heading towards the hospital end, for Fiji against a Russian team Minsk Dinamo. These were the two kicks I will never forget. They travelled with such speed that they left the Goal Keepers stunned. I believe that what led to my being dropped for the Australia game was that there was speculation (but no evidence) that the rental car had been involved in some nefarious activities after the time that it was discovered by me. Until today neither the lawyer Haroon Shah nor my friend Shah Anwaz Khan has told me directly the reasons for my being stripped of the captaincy and dropped from the team. However, like any other sportsman, I take it with a smile. I learned a lesson but it was too late and I never got the chance to be the captain again. I had a big red mark on my back not for performances on the field but for my alleged extra-curricular activities. It may be that I still had a lot of energy and youth left in me. 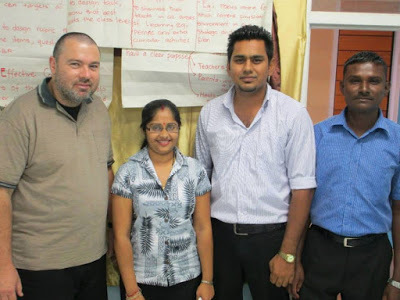 However, I captained at district level for Nadi. Lautoka did not want me to be captain so that I could be free to perform well on the field without the additional pressure which captaincy brings. I believe that all sportsmen have their ups and downs. I would just like the younger generation which reads this not to fall into this trap but just to be obedient sportsmen and good listeners. Naviti Street, Lautoka on a beautiful sunny afternoon just before dark. 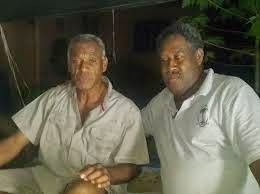 Nadi star players Henry Dyer (left) and Emasi "Bacardi" Koroi in recent times. Henry Dyer started with Nadi, switched over to Lautoka, and then returned to Nadi to finish out his career. Ken Cresswell, Grant Turner, Steve Wooddin (William McClure 47').